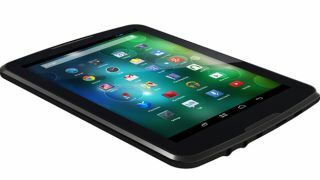 Former imaging giant Polaroid has announced a new series of affordable Android tablets, that'll go on show at CES 2014 next week. The 7-inch Q7, 8-inch Q8 and 10.1-inch Q10 will arrive packing the new Android 4.4 KitKat operating system and cost between $129 (around £78, AU$144) and $179 (about £109, AU$200). The new Q series will be Wi-Fi enabled (there was no mention of mobile data in Polaroid's press literature) and will feature an unspecified quad-core processor. The devices all have front and rear cameras, Bluetooth, an HDMI out, "extended battery life" (whatever that means) and access to the wealth of the Google Play Store. Polaroid already has the low profile 7-inch M7 and 10-inch M10, and is selling a $20 tablet in the Middle East. Solid spec details are still thin on the ground, so we'll swing by the Polaroid stand at CES and be sure to get the full skinny. The Q Series will go on sale in the spring. Can Polaroid photobomb the cheap tablet scene? Let us know your thoughts. CES 2014: What do expect from the biggest tech show of the year.